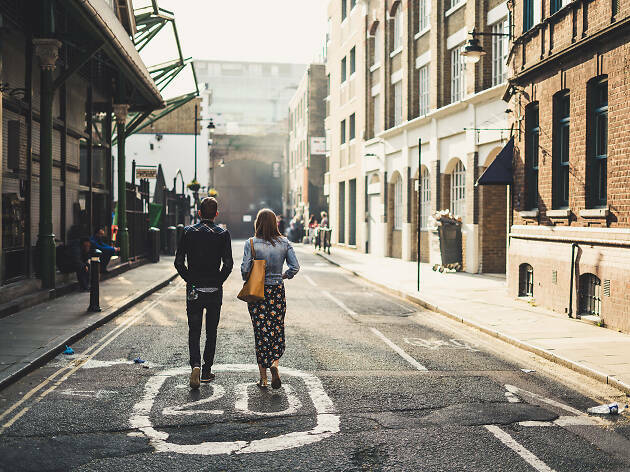 Walking is a brilliant way to explore London. It’s free, and you’ll spot things that you’d never notice from a bus or train window. You get to see how this sprawling city fits together and discover its hidden corners. It allows you to appreciate what a glorious, ever-changing hotchpotch it is: how fragments of ancient history sit alongside glittering skyscrapers, and how it’s been shaped by millennia of migration. And when you’ve worked up an appetite, you can discover new pubs and cafés, or picnic in one of its hundreds of green spaces. Most of the London walks in our round-up take you past major landmarks and first-class museums. 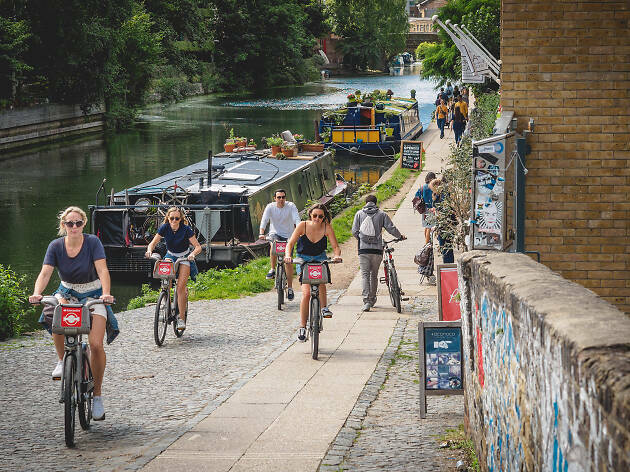 Several of the walking routes are largely road-free, wending their way along the River Thames or the city’s secret canals. They range from two-and-a-half to eight miles and are easy to extend if you want to make a day of it. Here are eight of the best walks in London. Highlights: Big Ben, Downing Street, Trafalgar Square, The Mall, Buckingham Palace, Churchill War Rooms, Westminster Abbey. 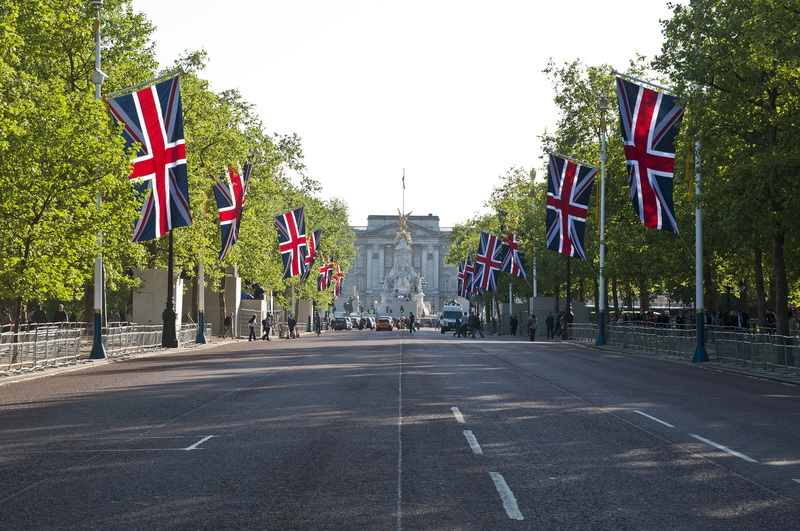 Pay a visit to the prime minister and the Queen plus three art galleries, Winston Churchill’s secret bunker and several Monopoly board squares on this circular walk. It starts and finishes at Westminster tube station in the shadow of Big Ben. First, head down Whitehall, past the PM’s home, No. 10 Downing Street, and Household Cavalry guards in strange pointy, shiny helmets. The next stop is Trafalgar Square, where you can admire Nelson’s Column and free art at the National and National Portrait Gallery – its rooftop café is a lovely spot for a coffee. 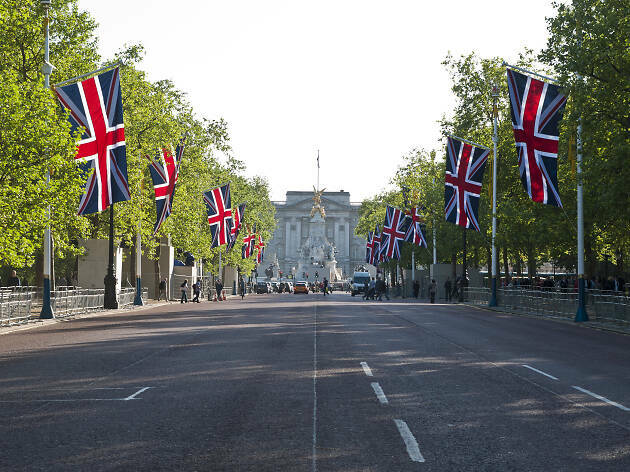 The Mall brings you to three royal residences: Henry VIII’s former abode, St James’s Palace; the official London home of the Prince of Wales and Duchess of Cornwall, Clarence House; and Her Maj’s pad, Buckingham Palace (when the Royal Standard flag is flying, she’s at home). You can see art from the royal collection at the Queen’s Gallery, before ambling through St James’s Park to Churchill’s War Rooms – his underground control centre is now a museum. The final showstopper is Westminster Abbey, where royals have been crowned since 1066. 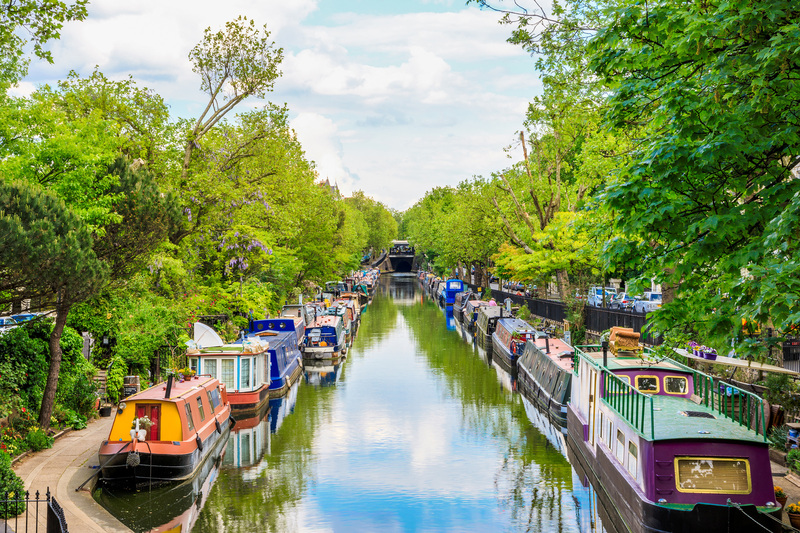 Highlights: the car-free stretch along pretty Regent’s Canal, riverside restaurants, Victoria Miro gallery, Broadway Market, Victoria Park, Queen Elizabeth Olympic Park, ArcelorMittal Orbit. A hundred and fifty years ago, horses hauled barges full of coal and timber along London’s canals. Nowadays walkers, joggers and cyclists ply their tranquil towpaths. 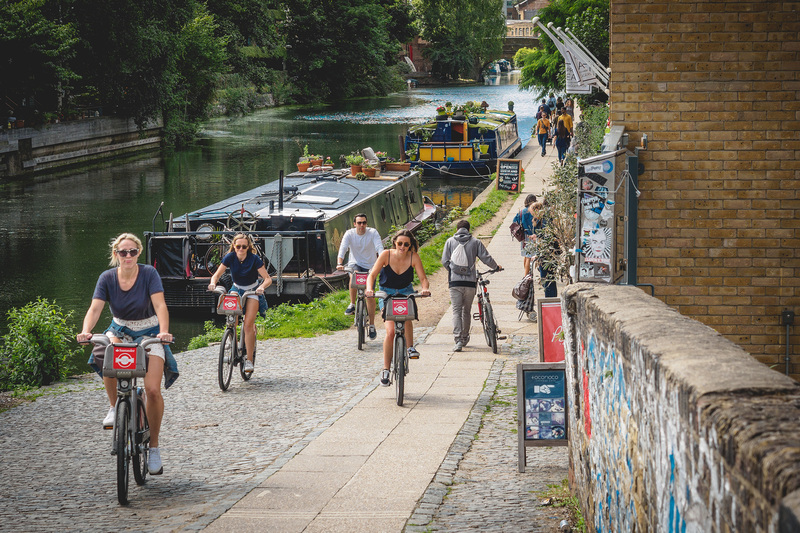 This car-free walk begins at Duncan Street in Angel, where the Regent’s Canal emerges from the Islington Tunnel and flows past the landscaped garden of Victoria Miro, a cavernous gallery in a former Victorian furniture factory. There are a handful of chic canalside restaurants after Whitmore Bridge, or continue to Broadway Market to pick up picnic supplies (come off at the Cat and Mutton Bridge – named after a pub). It’s also worth making a detour at Mare Street Bridge to marvel at the taxidermy specimens and bizarre art in the Viktor Wynd Museum of Curiosities. The towpath curves round to Victoria Park and meets the short, leafy Hereford Union Canal (also known as Duckett’s Cut). Follow it along the park’s southern edge to the Olympic Park, where you can admire Anish Kapoor’s twisting 111-metre sculpture the Orbit, then slide down it. Highlights: Roman ruins, Tower of London, Barbican, Museum of London. In around AD200, the Romans built a massive 2.5-mile wall around Londinium. It became the foundation of the medieval wall that encircled what we now know as the City of London for 1700 years. 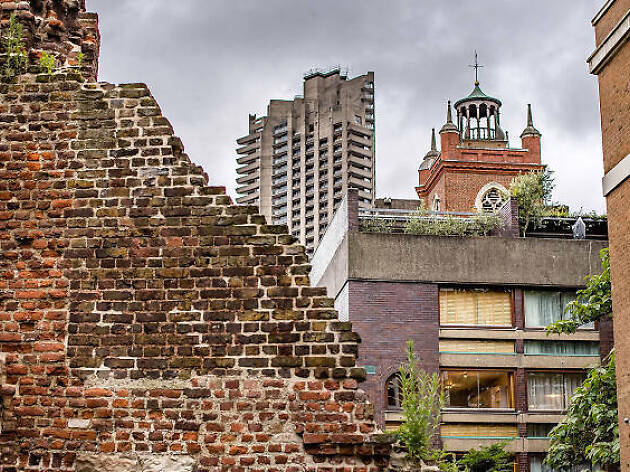 Most of it was torn down, built on or obliterated by bombs in the Second World War, but fragments are hidden away among the office blocks, smart hotels and medieval churches. This short walk follows the line of the original Roman wall as closely as possible along modern streets. It starts at the best surviving section of the wall, which juts 10 metres into the air across the road from the Tower of London. From there, you head north up Cooper’s Row to Vine Street, Aldgate and along London Wall. 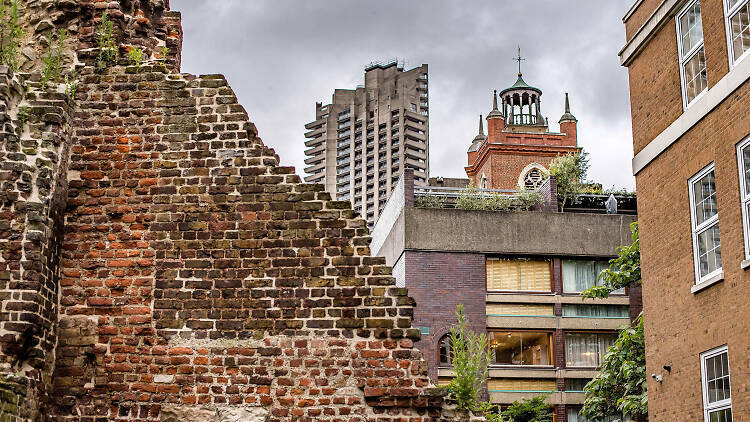 It ends at another architectural feat: the brutalist Barbican Estate, which used to be the site of the Romans’ biggest fort, Cripplegate, and now houses the Museum of London. Walk the London Wall on weekdays to bump up against the modern face of the City. At weekends, the streets empty and you can meditate on the past. Highlights: Richmond riverside, Petersham Nurseries, Ham House, Marble Hill, Eel Pie Island, Hampton Court Palace. 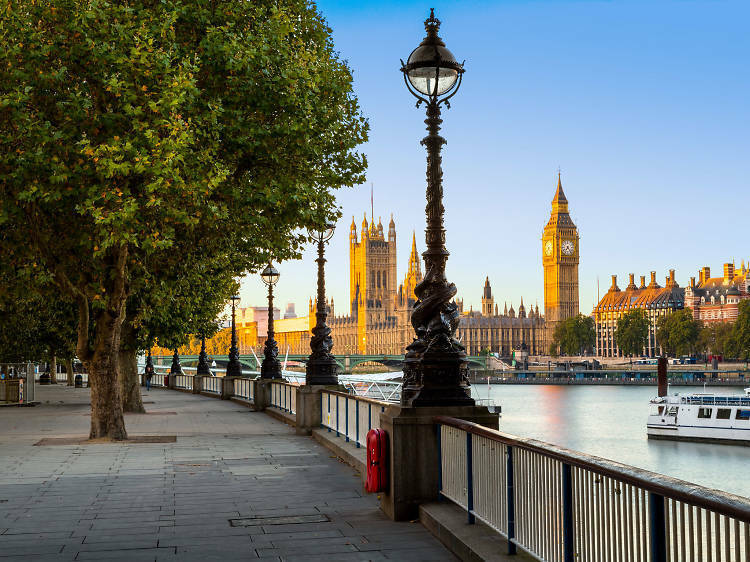 You could almost forget you’re in London on this leafy eight-mile stretch of the Thames Path, where the river meanders past two lavish stately homes, a rock ’n’ roll mini-island and a royal palace. After you’ve followed the signs from Richmond station to the river, you have to decide whether you want to take the north or south bank, which soon arrives at Petersham Meadows, gorgeous garden centre Petersham Nurseries and the National Trust-owned Ham House, one of England’s grandest Stuart houses. 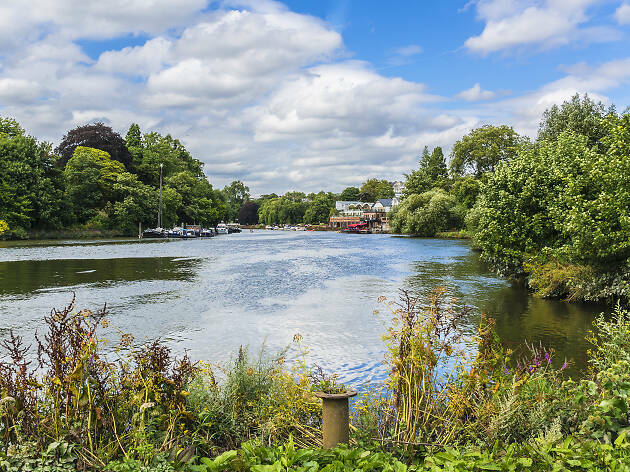 The north bank winds past the English Heritage-managed Marble Hill – an opulent villa built for the mistress of George II – to Twickenham and Eel Pie Island, where the Rolling Stones played over a dozen times in 1963. 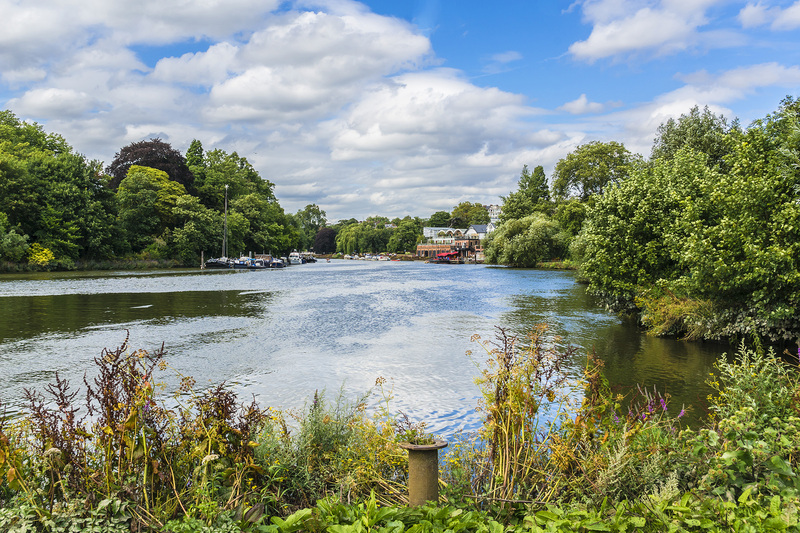 Both paths eventually curve round to Teddington Lock, where the Thames stops beings tidal and you can relax with a riverside pint. At Kingston-upon-Thames, the south path stops. Continue along the north bank until you reach the grand finale: Hampton Court Palace, one of Henry VIII’s many homes. Highlights: Bank, Heron Tower, Spitalfields Market, Whitechapel Art Gallery, Brick Lane, Shoreditch. 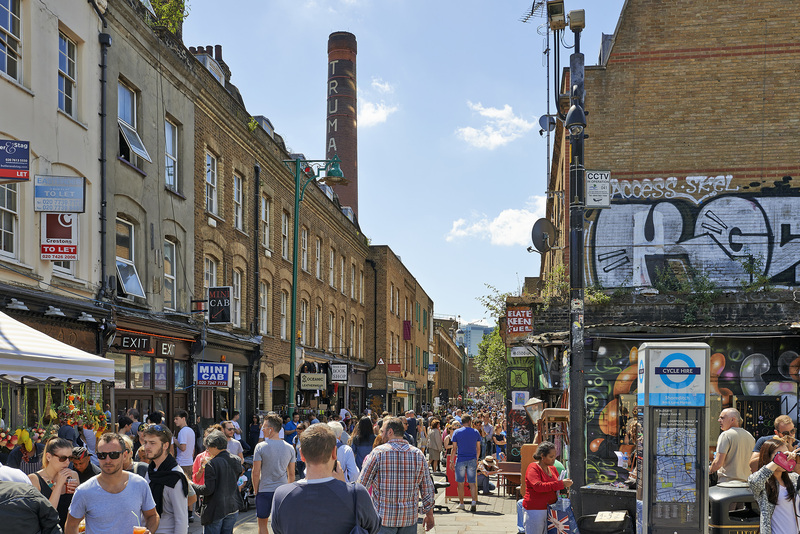 This is a walk of contrasts, taking you from the City of London to the heart of the capital’s Bangladeshi community, from Spitalfields’ sleek restaurants and boutiques to Brick Lane’s curry houses, bagel bars and street art. The East End has long been a refuge for immigrants, and along the way you’ll pass chapels, synagogues and mosques. Start at Bank station, at the epicentre of the financial district, where you’re dwarfed by the mighty Bank of England and Royal Exchange. Head through Liverpool Street Station and past the Heron Tower – the City’s highest building, home to sky-high diner Duck & Waffle – to Old Spitalfields Market hall, which used to house fruit and veg sellers. Then it’s south down Commercial Street to Whitechapel Art Gallery (check out the free exhibitions), before doubling back to rapidly gentrifying Brick Lane and finishing in fully chichi Shoreditch. 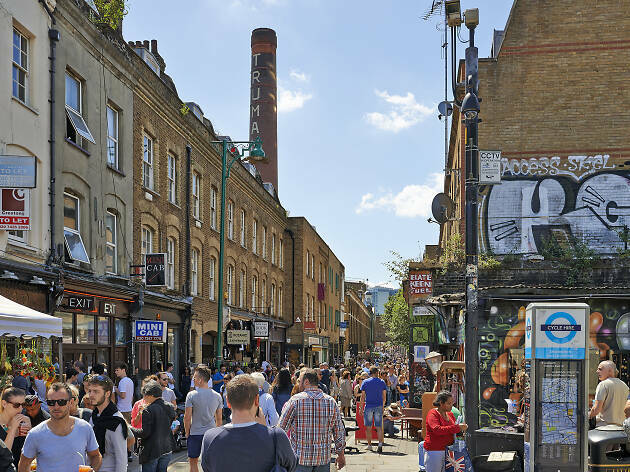 The best time to do this walk is on Sundays morning, so you can shop for bric-à-brac, hand-crafted clothes and retro memorabilia at Brick Lane’s five markets, the Truman Markets. Highlights: Houses of Parliament, Southbank Centre, London Eye, Shakespeare’s Globe, Tate Modern, Millenium Bridge, Borough Market, The Shard, Tower Bridge, Tower of London. There’s nothing like strolling over one of London’s bridges to make your heart skip a beat and this walk crams in ten (give yourself a pat on the back if you can name them all before you set off). It starts at Westminster Bridge and criss-crosses the river all the way to Tower Bridge, and is crammed with amazing trivia. For example, did you know that the Thames was spelt ‘Tames’ until a Dutch mapmaker accidentally inserted an ‘h’ in the sixteenth century? Have you ever noticed the lions’ heads with moorings rings in their mouths that are part of London’s flood warning system? As well as ticking off all those bridges there are some big-ticket attractions along the way – the Houses of Parliament, the London Eye, Shakespeare’s Globe, Tate Modern, The Shard. Take a break in the South Bank’s riverside cafés, bars and gardens. In summer, you can climb up to Queen Elizabeth Hall’s wildflower-strewn roof garden for a glorious view of the river. Highlights: pretty Blackheath village, Greenwich Park, Prime Meridian Line, Royal Observatory, Royal Maritime Museum. 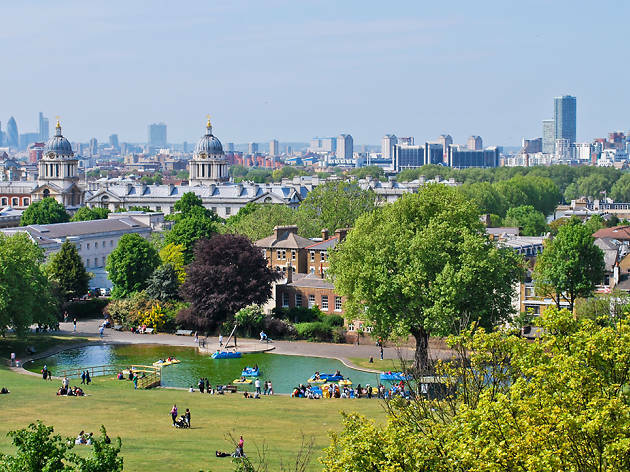 Straddle different hemispheres and drink in superb views on a green walk that winds from downtown Lewisham to Royal Greenwich. Beginning at Lewisham station, it climbs up to well-heeled Blackheath village, where urban sprawl soon gives way to wide-open heath and skyline panoramas. 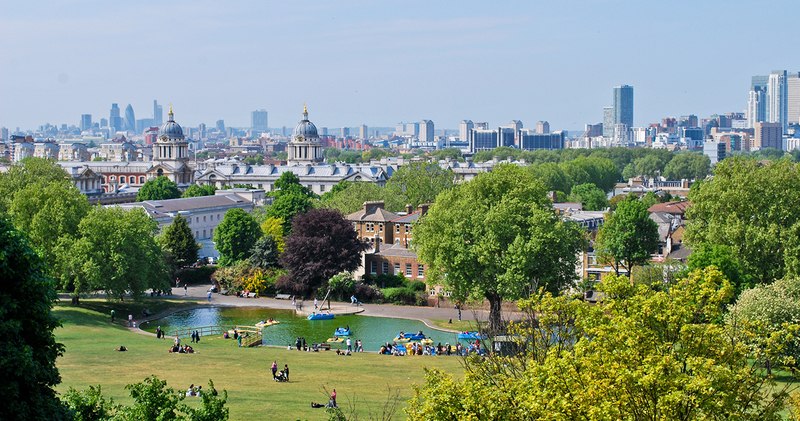 The next stop is Henry VIII’s former hunting ground: Greenwich Park, where you can stand on the Prime Meridian Line, which divides the eastern and western hemispheres at the Royal Observatory. Next to it, the General Wolfe Statue presides over what might just be London’s finest viewpoint. You then pass the Royal Maritime Museum and the Queens House and through the grounds of the Old Royal Naval College (don’t forget to peek inside the beautifully restored chapel and Painted Hall). At the end of the walk, quench your thirst in one of Greenwich’s historic boozers, such as the riverside Trafalgar Tavern and Cutty Sark Tavern. 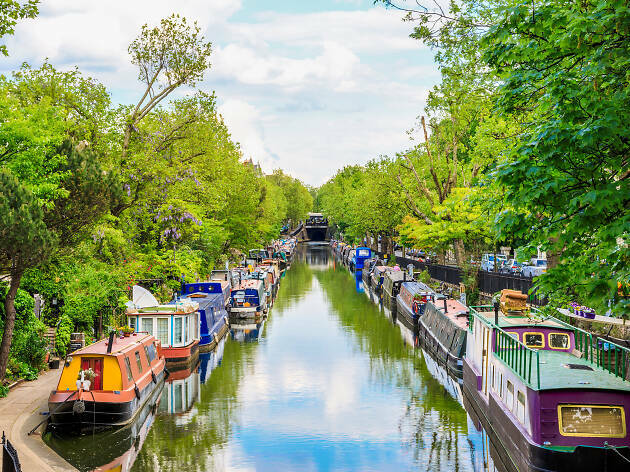 To explore more of south-east London’s parks and woodlands, check out the Green Chain Walk, which snakes 50 miles from Thamesmead to Nunhead Cemetery. Highlights: elegant architecture, British Library, St Pancras International Station, British Museum, Sir John Soane’s Museum. 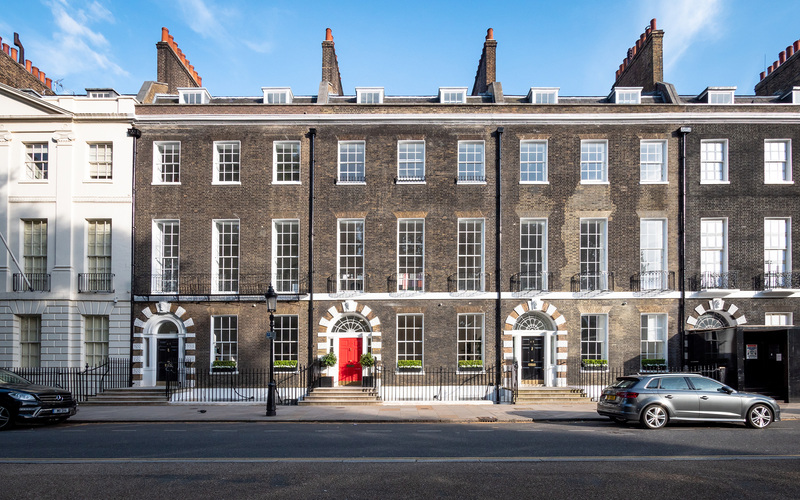 This walk ambles through the old haunts of Virginia Woolf and the Bloomsbury Set. As the name suggests, the 14-mile Jubilee Walkway was devised to for the anniversary of the Queen’s coronation and is made up of circular loops that take in just about every major landmark. 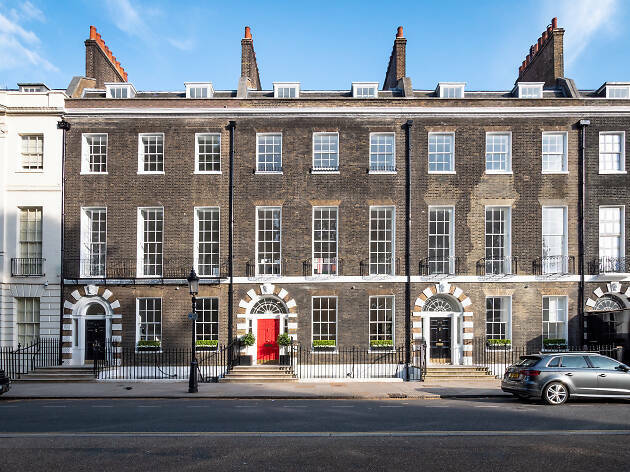 The four-mile Camden walk was added for the Golden Jubilee and takes you past Holborn and Bloomsbury’s elegant squares and handsome Georgian townhouses. It starts at Kings College’s Maughan Library on Chancery Lane and zigzags north up to the Euston Road where you can admire St Pancras’s formidable red-brick façade and poke your nose into the British Library, which has around 14 million books and several coffee shops. From there, it wends south to the even grander British Museum and Sir John Soane’s Museum, which is stuffed with the 19th-century architect’s unique collection of art and antiquities. Look out for the circular discs set in the pavement and information panels.